Why don’t I live in New Zealand, damn it? The Coastal-Marine Research Group (C-MRG – http://cmrg.massey.ac.nz/) was established under the auspices of the Institute of Natural Sciences (INS) at Massey University, Albany, New Zealand in 2000. Since then, both its staff and postgraduate students have undertaken marine mammal research within and beyond New Zealand waters, concentrating specifically on conservation and management orientated questions. Volunteers are required to assist on a PhD study (supervised by Dr Karen Stockin, Massey University and Prof Mark Orams, AUT University) to assess the behavioural ecology and conservation of bottlenose dolphins (Tursiops truncatus) in the Bay of Islands, Northland, New Zealand. Bottlenose dolphins are classified as nationally endangered within New Zealand waters (Baker et al 2010), with a local population recently described (Tezanos-Pinto et al in press). This study builds upon earlier research undertaken by Tezanos-Pinto (2009) and Constantine (2002) and will among other things, reassess the status and effects of tourism interactions (a decade on from Constantine 2002). The field season runs year round and volunteers are required for all periods. A minimum commitment of three months is preferred, with priority given to those who can commit for longer periods. 5) Effort will placed into allowing all volunteers the opportunity to gain experience on each element. Enthusiasm and demonstrable commitment to the project will supersede formal qualifications. Volunteers will be expected to work and live as part of a team with shared cooking and cleaning duties. Unfortunately, monetary compensation cannot be provided, and volunteers will be required to pay for their own food and accommodation. However accommodation will be provided in the field research house at a reasonable rate. Volunteers must pay and organize for their own transport to the field site (3 hours North of Auckland). Information, prices and assistance can be provided to successful applicants. Applicants should send a short email cover letter, using ‘volunteer opportunity’ as the subject line, to c.peters@massey.ac.nz. The email should include an outline of why you would like to work on this project, your availability and relevant experience. Please also attach a brief CV including at least one reference. Early application is recommended to avoid disappointment. Successful applicants will be notified ASAP. This is a great opportunity to work in a dynamic environment and gain further experience, whilst working on an important research project. For more detailed information on the project please do not hesitate to contact me. 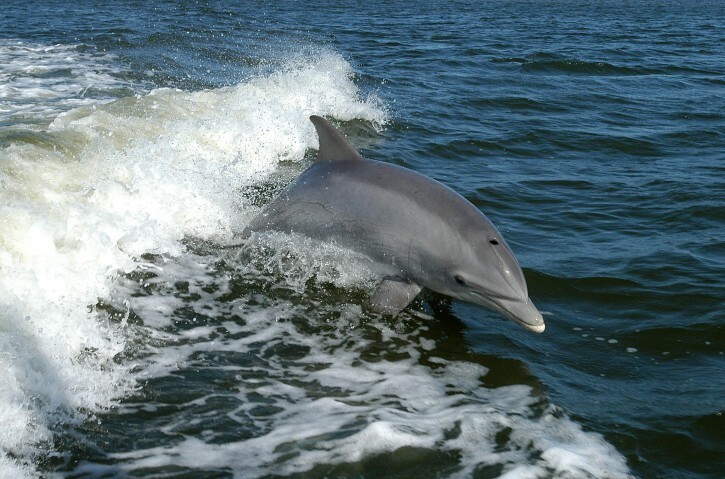 This entry was posted in Education & Training and tagged Bottlenose Dolphin, Conservation, Dolphins, field work, Marine Biology, Research Assistantship on March 29, 2013 by Ria Pi. This one seems like a great opportunity for “beginner” marine mammalogists/biologists. Details below. Two research assistants are required to assist with a PhD study investigating common dolphin ecology (Delphinussp.) in the Bay of Plenty, New Zealand. This PhD project is part of the ongoing research of the New Zealand Common Dolphin Project (NZCDP) and the Coastal-Marine Research Group (C-MRG) at Massey University Albany, Auckland. (http://cmrg.massey.ac.nz). Growing interest in observing and swimming with free-ranging cetaceans has contributed to a rapid growth ofdolphin-based tourism operations. The PhD project aims to examine distribution and habitat use of common dolphins in the East Coast Bay of Plenty and assess the effects of interacting activities on both populations. Part of the study focuses on photo-identification in order to assess common dolphin site fidelity in the Bay of Plenty. March – September 2013. A minimum commitment of 3 months is required. Priority will be given to candidates who can commit for longer periods. Analysis of photo-identification data, including assistance with photo sorting, grading, and matching, sighting data entry, maintenance of long-term photo-id catalogue using a MS Access database. Research assistants should be prepared to work long days analysing photographs and matching them with the photo-identification catalogue. Opportunistically, the candidate will be able to join the team on the field and learn environmental and behavioural data collection for cetaceans. Surveys will be conducted from tourism boats. Surveys will be carried out in the coastal waters of Tauranga. Fieldwork is weather dependent and can vary between weekdays and weekends. Assistants need to be available FULL-TIME (including WEEKENDS and PUBLIC HOLIDAYS if on the field) and be prepared to work on computer 6-8 hours per day. This position is suitable in the framework of a degree, with the opportunity to write up a report/thesis for the candidate university/school.
. Be meticulous, reliable, adaptable, hardworking and patient.
. Have a mature and independent attitude towards marine mammal research.
. Previous experience in photo-ID on small cetaceans will be considered.
. The project is well suited to upper level undergrads, recent grads and graduate students who have some background in Biology, Marine Biology, Ecology, Zoology or related fields. This is a volunteer position, so there is unfortunately no monetary compensation or living provisions. However, help can be provided to find accommodation. Assistants will be responsible for travel to Tauranga and their own living expenses. Early application is recommended as applications will be examined in order of reception. This entry was posted in Education & Training and tagged Biology, common dolphin, Dolphins, field work, Internship, Marine Biology, photo identification, Research, Research Assistantship, Zoology on February 9, 2013 by Ria Pi. Hi, I'm Maria! I'm a M.Sc. Behaviour, Evolution, and Conservation student and I have a passion for the behavioural sciences. What I talk about when I talk about science!